Prague, Czech Republic. 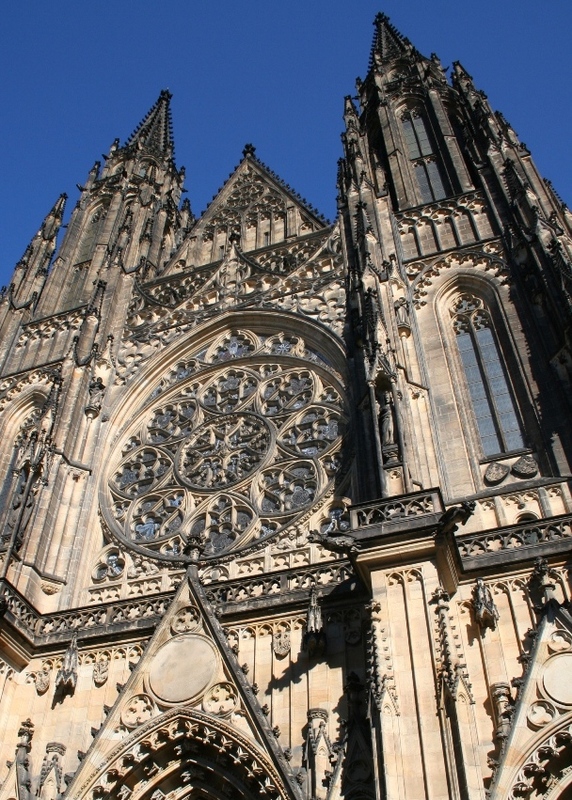 Saint Vitus Cathedral, began in 1344. 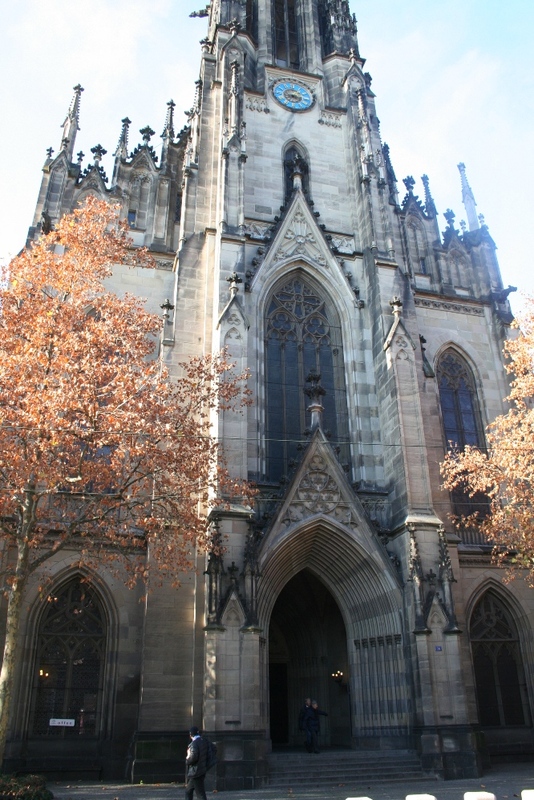 This western facade was actually not begun until the early 19th century, though the entire structure is one of Europe’s most impressive Gothic-style landmarks. 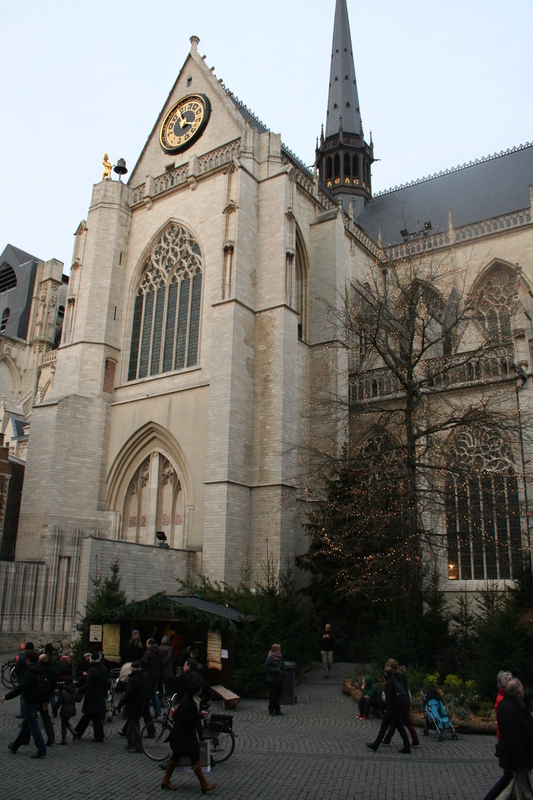 For more images of Gothic Architecture on Flickr, Click here. York, UK. 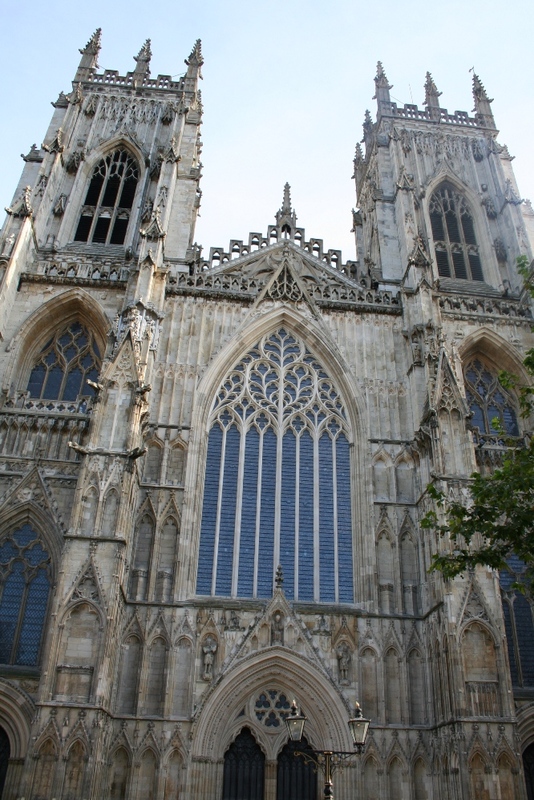 York Minster, began in 1220 AD in the “new” Gothic style. 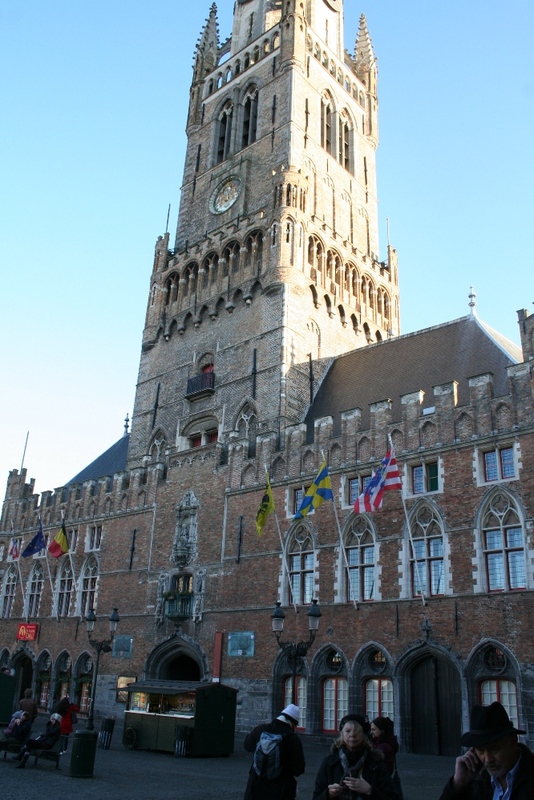 The church was designed to emulate that of Cantebury. It replaced an earlier Norman (Romanesque) style church on the site. Venice, Italy. 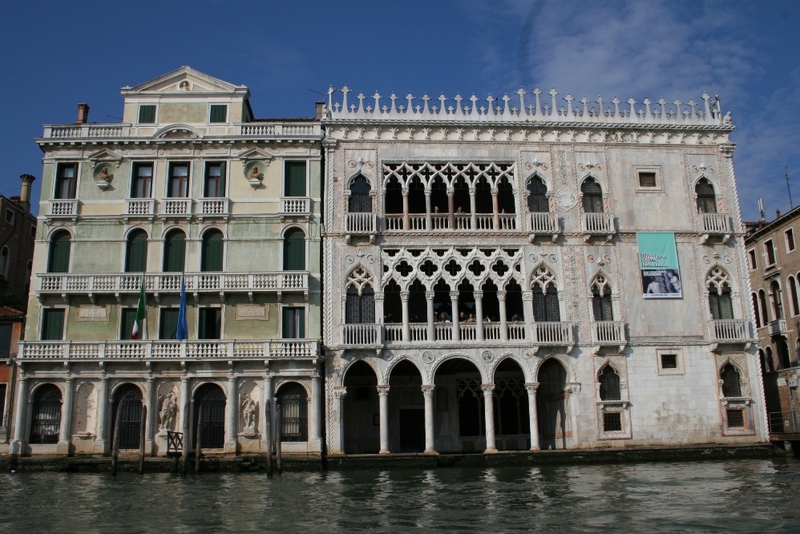 Venetian Gothic along the Grand Canal (center-right structure). Venice, Italy. 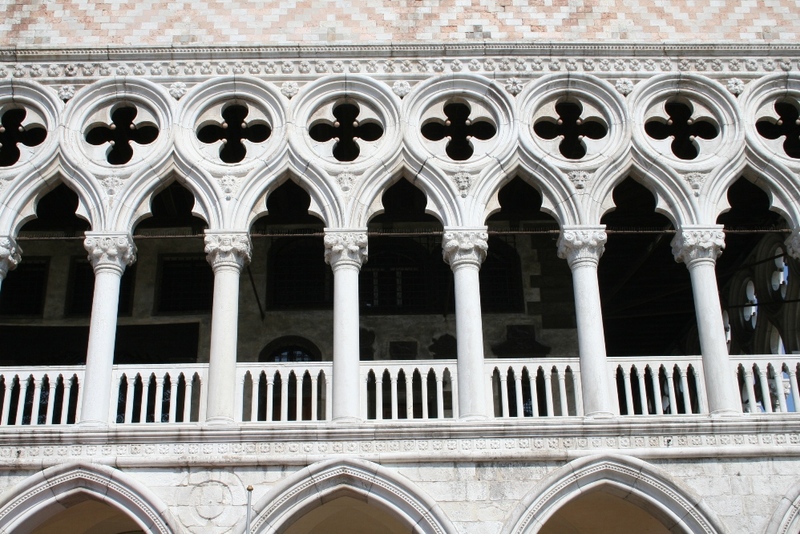 Doge’s Palace, a famous example of Venetian Gothic architecture. Construction began on the lagoon facade (pictured here) around the 1340s.